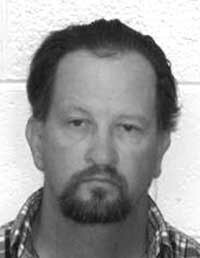 The man being held responsible for the 2011 death of Hailey resident Dayle Ann Fowler was sentenced in Jerome County District Court Monday to 365 days in jail. The hearing that lasted about an hour and a half finalized the punishment for Byrus Lyndon Gatewood, who pled guilty May 7 to a reduced charge of misdemeanor vehicular manslaughter in Fowler's death. Fowler was killed June 28, 2011, when Gatewood, driving a red Volvo tractor-trailer, crashed into Fowler and her car and two other vehicles all stopped in a construction zone. Fowler, a well-known philanthropist, was 62. Investigators testified that the construction zone with a reduced speed limit to 45 mph started just south of the junction of Highways 93 and 25, but the actual work zone was about three miles north. Investigators alleged that Gatewood ignored posted speed restrictions and other warning signs and continued through the zone at speeds exceeding 60 mph until coming upon the line of stopped traffic. In addition to jail time, Judge John Butler put Gatewood on 24 months of supervised probation and ordered him to complete 470 hours of community service. Also as part of Butler's ruling, Gatewood is not permitted to operate a commercial vehicle for 24 months.